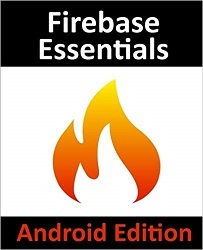 With 55 in-depth chapters, over 470 pages and 23 example app projects (including the source code), this book provides everything you need to successfully integrate Firebase cloud features into your Android apps. The book is organized into chapter groups that focus on specific Firebase features, with each topic area consisting of a detailed overview followed by tutorial style examples that put theory into practice. Neil Smyth is co-founder and CEO Payload Media, an internet and eBook publishing company based in the U.S. Prior to launching Payload Media, Neil held a number of positions in the IT industry including programming, web development, systems administration and sales and marketing and is the author of a number of technology related books. Click here to see all his "Essentials" technical books.